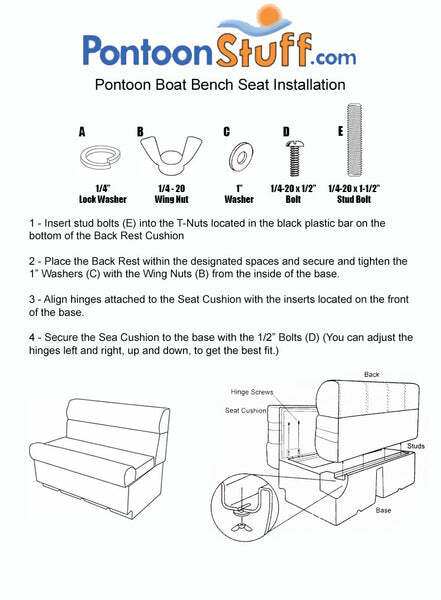 This listing is just for the pontoon lean back portion that is 17" long. The corner of the Lean Back is rounded. What are the dimensions of the right lean back seats? If you look at the featured pictures you can see a photo with measurements. Right and Left Lean seats, is there storage area in this unit, how much and how do you access the area? The Cushion is hinged on to the Base and will lift up to access the storage underneath.